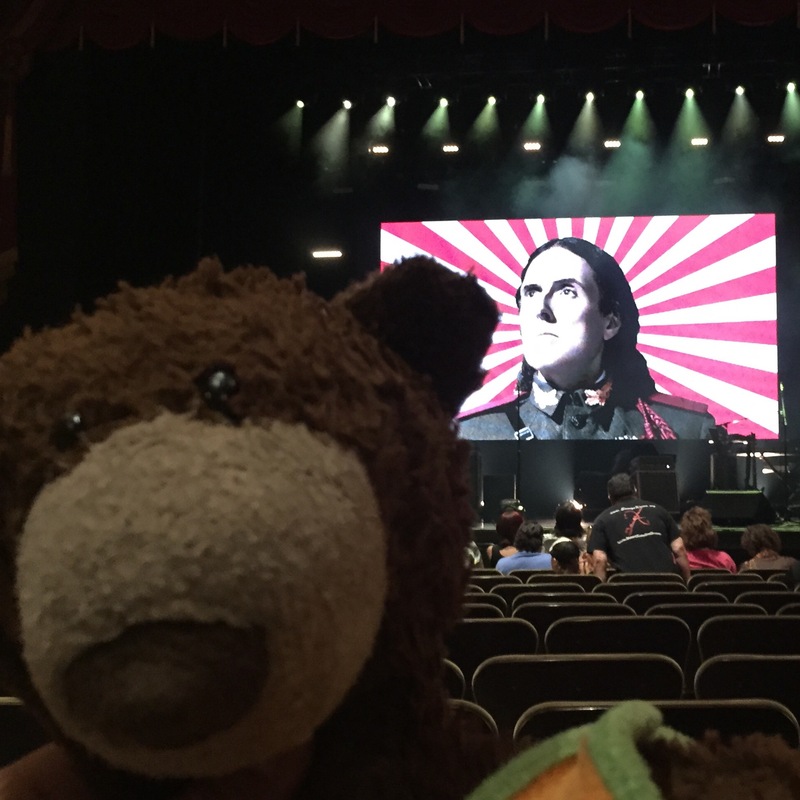 We were fortunate last evening to be able to study the nerds up close in their natural habitat: a “Weird Al” Yankovic concert. We were also able to observe any number of geeks and dweebs, as well as the rare scarlet crested dork. All in all, it was an outing to remember! I myself had to think long and hard about what outfit to wear. I have a “Weird Al” shirt from his Running With Scissors Tour back in 1999/2000, but I know you are not supposed to wear the t-shirt of the band you are going to see. On the other hand, this shirt is almost twenty years old. That makes it vintage, right? EXTRA cool! I put the shirt on, and asked my wife if she thought it was okay. “I don’t think you need to worry about being cool,” she replied. “You’re going to a “Weird Al” concert.” Ouch. 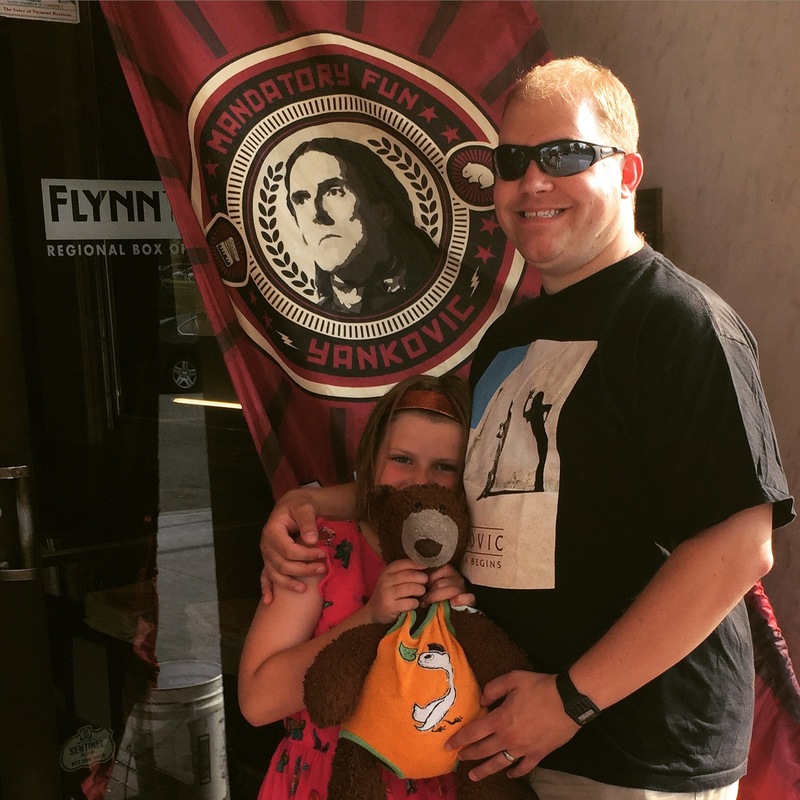 I was super excited to be able to take my daughter to experience one of the greatest living musical geniuses on the planet, and as soon as we got into the theater line we were able to see some sweet nerdage. So many Star Wars shirts. Muppet shirts! Superhero shirts! 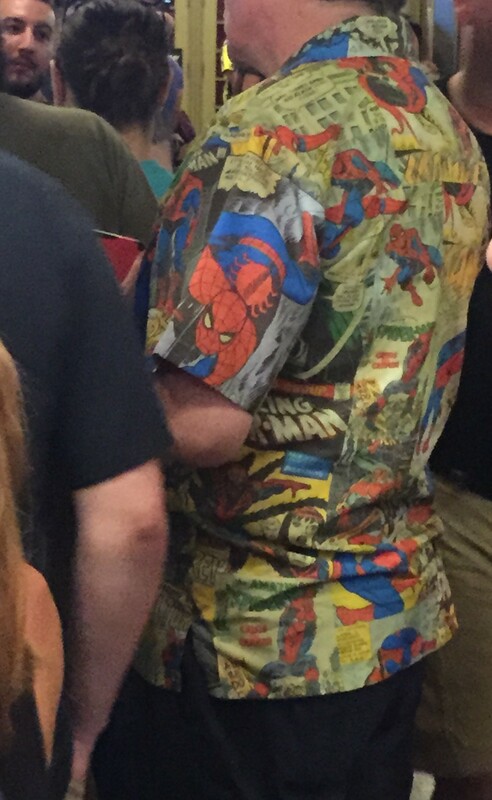 The guy a few spots in front of us was rocking an amazing Spider-Man button-down that I was a little jealous of. Once we got inside we were able to see dozens of extreme nerds in hats made out of aluminum foil. This is a reference to the song “Foil,” one of the best tracks on Al’s new album “Mandatory Fun.” These were some dedicated nerds indeed. Of course the biggest nerd of all was right up there on the stage in front of us. 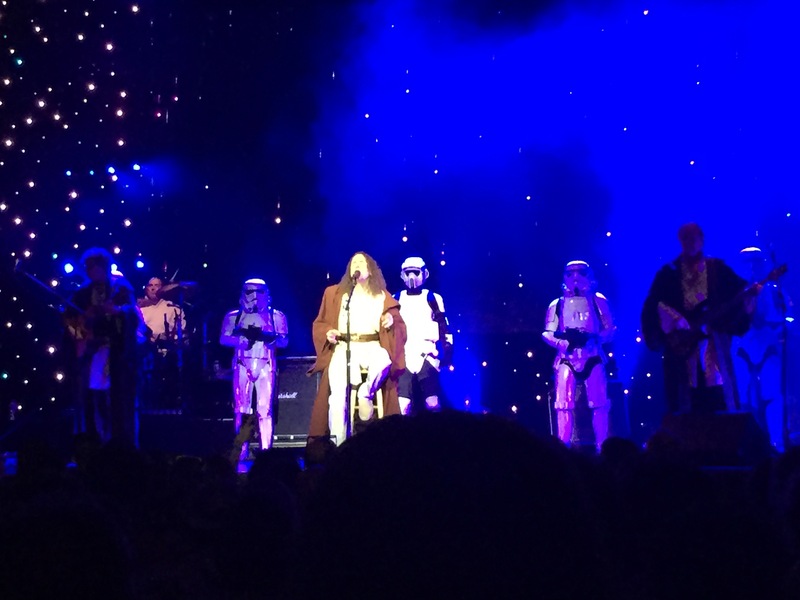 Alfred Yankovic, king of the nerds, put on an amazing show full of high energy, dancing stormtroopers, and more pop culture references that you could shake a rabid wolverine at. We were all there, nerding out as best as we could, in awe of the supreme nerd whom we all loved. And, hopefully, training the next generation. Posted in Concert, Music, Photo, Ruby, Weird Al.